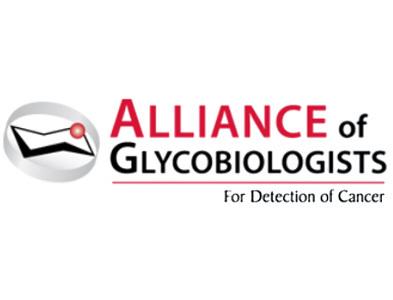 The Alliance of Glycobiologists for Detection of Cancer, a consortium of eight Tumor Glycomics Laboratories, is working to reveal cancer-related dynamics of complex carbohydrates to develop new, validated clinical biomarkers for early detection. The mission of the Alliance is to study structure and function of glycans in relation to cancer development towards developing clinically useful biomarkers for the early detection of cancer by using a variety of approaches and technologies. This charge also requires extensive collaborations across institutions with different skills and facilities to accelerate glycan-based biomarkers to the forefront of NCI's efforts to detect and diagnose cancer at early stages. The Early Detection Research Network (EDRN) of NCI with whom the Alliance will work closely with to validate promising glycans for clinical use. A Steering Committee (SC) representing all eight Tumor Glycomics Laboratories, representatives from the partnering programs, and program staff from NCI, NIGMS and NHLBI integrates the activities of the Alliance. Read more About the Alliance. Descriptions of the 8 tumor glycomics laboratories and a synopsis of research and network resources of each team.